So let’s see what we have here — The party starts with Bottle Gods, a highly entertaining folk metal tune which made me think of Finntroll and Ensiferum for some reason. No trolls though, just a simple catchy chorus and some catchy accordion melodies accompanying the metal instruments. So far, so good…Now where’s that beer? Ah, here it comes. Not just one either but several as the bar starts to fill up and more of your friends join the party. And what better anthem for this occasion than Auf die Zwölf – a German-language track with a lot of the same atmosphere as the super-catchy opener. More accordion noise and a chorus so catchy that you want to dance and sing along to the tune even if your German is as bad as mine is. Things start to go a bit haywire by the time we reach the title track. Folk metal and trumpets? Oh dear, clearly someone has had one beer too many. Well clearly someone did because the Hangover is immense. It’s so sad, such a great party and now everyone feels like crap. Oh look, there’s a karaoke machine over there, let’s all have a go at singing some random songs. Yeah… In all honesty the Finsterforst cover of Miley Cyrus’s Wrecking Ball is actually quite decent. They actually put some effort into the vocals and their metalized version works surprisingly well. However the same cannot be said for the Michael Jackson cover or the cringe-worthy hip-hop track. ‘Wild Rover’ is a fairly obvious song to end the party with. It’s been fun but now it’s really time to go home. Overall, you can clearly tell that Finsterforst had lots fun recording ‘#YØLØ’. It’s clearly a party album that is not meant to be taken too seriously. The whole thing is a bit of a joke but luckily for the most part a good one. 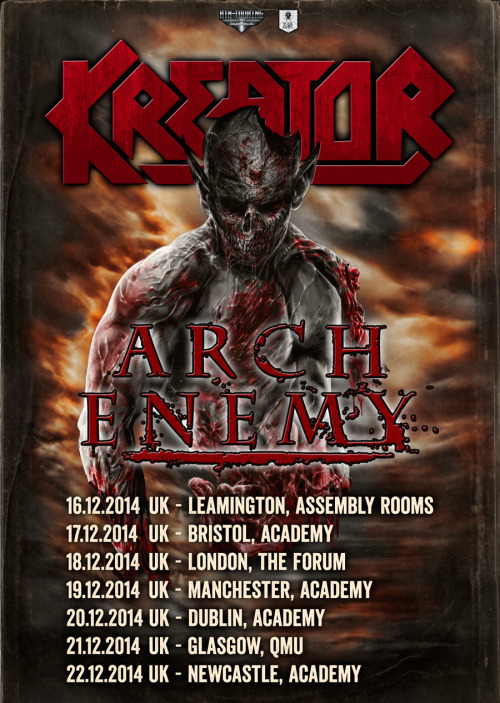 Teutonic thrash overlords Kreator have announced a string of UK dates in December, as part of their huge European tour, with Swedish melodic death metal unit Arch Enemy. When Kreator released Endless Pain in 1985, they single-handedly established Germany as a thrash nation and continued to sustain and influence the subgenre via their own Violent Revolution. In 2012, Kreator released their latest studio album – the killer Phantom Antichrist which brought the band superb chart entries and sold-out venues all over the planet. This triumphant march was recently immortalized in the highly acclaimed live DVD/Blu-Ray Dying Alive. Footage from the DVD can be viewed below. A lot of our European fans voiced their discontent over the fact that the band hardly does European club tours – apart from our festival shows. In 2013 we were mainly busy playing for our fans overseas. We want to change this now. In time for the reissues of Endless Pain, Pleasure To Kill and Extreme Aggression in all kinds of formats – finally on vinyl again too – we`ll end the Phantom Antichrist tour cycle in Europe with a massive string of shows. This will be your last chance to see Kreator live in clubs for quite a while, because we’ll be busy working on a new album in 2015 and only play carefully selected shows. Right now we`re working on a new multimedia stage show and we’ll also have a bunch of surprises in the setlist. Our friends of Arch Enemy are part of the trek to present their new album War Eternal, and so will Vader and our old companions Sodom. This tour will be KILLER!! 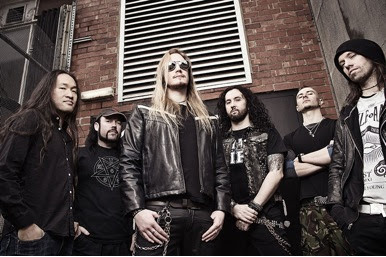 Titans of British metal Dragonforce are on the verge of completing their sixth studio album, titled Maximum Overload. 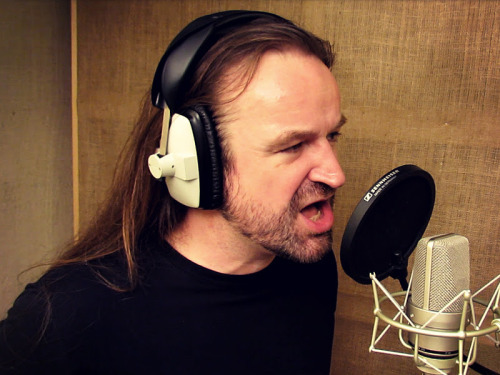 Produced by Jens Bogren at Fascination Studios in Örebro and Varberg, Sweden, the new album will be the band’s first ever album involving an outside producer, having historically opted to record themselves in association with Karl Groom. Maximum Overload will be the band’s debut album for new label earMusic, part of the German Edel music group, who will release the album in the UK on 18th August and in Germany on 15th August. Protest The Hero have revealed a video for the track Tilting Against Windmills. This is the fourth video and single released from Volition. 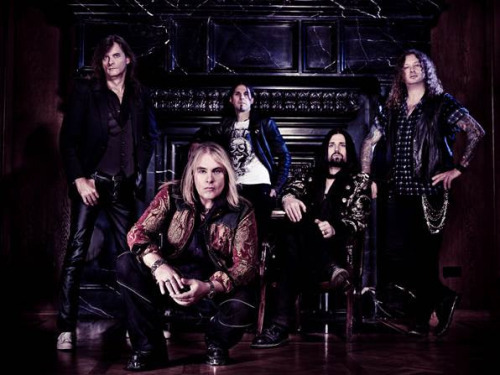 The video was filmed throughout the band’s most recent UK and European tour in January. The video can be viewed below. 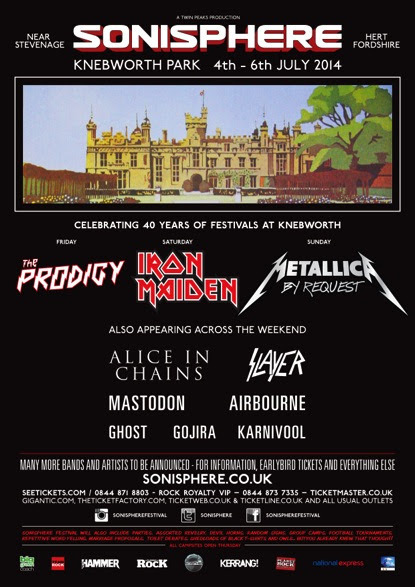 The band have also been confirmed to play at this year’s Sonisphere Festival in the UK. Further details of the festival can be found at this location. Protest The Hero will also be appearing at other festivals around Europe this year including Hellfest in France and Germany’s With Full Force Festival and many more to be announced.